A bittersweet novel of family and self-discovery from the Sunday Times bestselling, award-winning author of A Spool of Blue Thread Willa Drake can count on one hand the defining moments of her life: when she was eleven and her mother disappeared, being proposed to at twenty-one, the accident that would make her a widow at forty-one. At each of these moments, Willa ended up on a path laid out for her by others. So when she receives a phone call telling her that her son’s ex-girlfriend has been shot and needs her help, she drops everything and flies across the country. The spur-of-the moment decision to look after this woman – and her nine-year-old daughter, and her dog – will lead Willa into uncharted territory. Surrounded by new and surprising neighbours, she is plunged into the rituals that make a community, and takes pleasure in the most unexpected things. 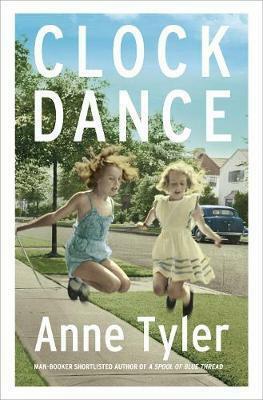 A bittersweet novel of hope and regret, fulfilment and renewal, Clock Dance brings us the everyday life of a woman who decides it’s never too late to change direction, and choose your own path.